Naoyoshi Taguchi, the founder of the company, graduated from Nagata High School in Hyogo Prefecture, enrolled at the Osaka Institute of Technology, and subsequently became involved in development work. In 1962, Naoyoshi Taguchi, Figaro Engineering’s future founder, noticed a newspaper article on a propane gas explosion at Lake Yamanaka. Immediately he recognized the serious need for a gas leak detector. He was consumed by the need to accelerate research on gas detection sensors and thus began a series of experiments to find functional materials for gas detection. After two years of intensive experiments, he chose tin oxide (SnO2) for gas detection. In May 1968, Taguchi invented a semiconductor element with a very simple circuit to detect extremely low concentrations of inflammable and reducing gases. Together with his research colleagues, he commercialized the product and established business operations. The sensor was incorporated into gas leak detectors for homes and industrial usage under the name Taguchi Gas Sensor (TGS), with sales both in Japan and overseas. TGS109 was mass-produced, selling in large numbers. TGS is the abbreviation of ‘Taguchi Gas Sensor’. Figaro Engineering Inc. was established in 1969. To name the company, Taguchi, an avid fan of opera, named the company Figaro after the name of the protagonist and jack-of-all-trades in the opera ‘The Barber of Seville’. Figaro’s ability to challenge anything represented Taguchi’s vitality and desire to challenge conventional wisdom. A combined research laboratory and factory was built in Higashi-toyonaka City the following year, and gas sensor development and manufacture commenced. In the same year, gas alarm manufacturers formed the Gas Alarm Liaison Council which later established the expiration date for alarms at three years. The core Figaro personnel of the company’s early stage was assembled in the mid 1970s, nurturing development, manufacturing, and maintenance capabilities, and building the foundation of a progressive enterprise. The company was recognized by the media at the time as possessing ‘venture spirit’, resulting in a ratio of 100:1 in student applications for successful employment, and an increased public awareness of the company. Figaro responded to the problem of faulty operation of alarms in underground shopping centers by rapidly developing countermeasures such as the addition of compounds to its sensor elements and by improving filters. These measures raised public awareness of the company as a leading, reliable manufacturer of gas sensors. In 1980, in preparation for overseas expansion, a North American office was established in 1980 and was formally incorporated as Figaro USA Inc. in 1983, providing the basis for international expansion. In the same year, the company received the Electrochemical Society of Japan’s Tanahashi Award for technology development enterprises founded on electrochemistry and industrial physics. Receipt of this award was a demonstration of the company’s nature, both in name and reality, as one of product development and technical ability. In the following year, the company moved to its current headquarters and factory to Mino City to expand business. The dangers of gas leaks in urban housing came into focus within the context of greater hermetic sealing of housing, and the company began shifting its focus to equipment and environments responding to the needs of society, and consequently developed its world-class mass production system. 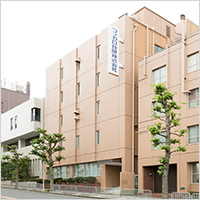 In 1986, the company received the Technology Award of the Chemical Society of Japan, further motivating Research and Development, and reinforcing the abilities of the organization in both technology and development. 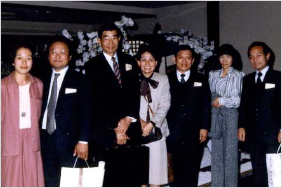 In the same year, a capital alliance was formed with Tokuyama, a company handling chemicals and electronic products, Despite joining the Tokuyama Group, the progressive and unique nature of the company as a venture business with proactive management, employee performance awards, liberal vacation policy, and a flex-time system was retained. In 1991, operations were expanded into China, and Tianjin Figaro Inc. was established as a Japan-China joint venture, a rarity at the time. In an era when few Japanese manufacturers had a presence in China, the company moved aggressively into the Chinese market with the manufacturing of gas sensors in China and the potential of selling into the Chinese retail market. China would become a base for expansion into Asia. In the United States, the first regulations mandating the installation of carbon monoxide alarms were made in 1994, and Figaro dramatically increased its shipments of carbon monoxide sensors. Fourteen years after establishing the North American office, overseas operations began to expand rapidly. Figaro acquired ISO9001 certification in 1997, strengthening its quality management system for manufacturing. 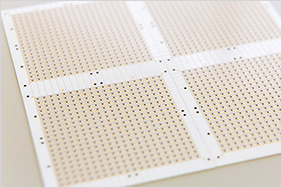 A sensor element manufactured with thick-film printing technology applied in-house by Figaro Engineering. Innovative manufacturing techniques for semiconductor gas sensors were established in the 1990s. These techniques applied thick-film printing technology to the manufacture of sensor elements, conquering mass production problems and improving quality. Customer demands were satisfied through a massive improvement in manufacturing capacity, miniaturization, and reduced power consumption. In the 2000s, competitors, including overseas manufacturers from China, entered the gas sensor market and the pressure to drop sensor prices increased. In this climate, Figaro accelerated its Research and Development to diversify sensor technology, and in doing so enhanced product manufacture with knowhow and added value beyond the capabilities of its competitors. In 2001, Figaro commenced in-house development of electrochemical sensors in response to market demands for a battery operable sensor with no significant humidity dependency. Demands for semiconductor gas sensors to detect low concentrations were growing, and Figaro therefore moved ahead with Research and Development on this next generation of sensors. By 2004, legislation in the US requiring installation of carbon monoxide detection alarms was implemented in most states, and exports of CO sensors rapidly increased. Figaro’s battery operable electrochemical gas sensor was developed in 2006 and entered the market, gaining a significant share of the market. Figaro’s thick-film printing technology and expansion of Tianjin Figaro’s manufacturing capacity have propelled Figaro to the position of global leader in gas sensor manufacturing capacity. Nevertheless, many challenges remain on Figaro’s path to becoming the unquestioned world leader in the gas sensing field. The most notable challenge to Figaro is exploiting the unlimited possibilities of gas sensor technology. Examples of new applications include expansion of the company’s gas chromatography technology into new fields, creation of a more comfortable and livable environment through the use of gas sensors, and measurement of gases and odors emitted by the human body in healthcare applications. Revisions to the Fire Prevention Law in Japan to encourage improved safety may possibly bring major changes to the Japanese market, and it is anticipated that Figaro’s contribution to safety and security will expand as a result. With 2020 in mind, Figaro is promoting a long-term strategic plan to bring satisfaction to all stakeholders through a process of creating new enterprise value via Research and Development.